Baxter County Assessor Jayme Nicholson has been honored by her peers in the state. 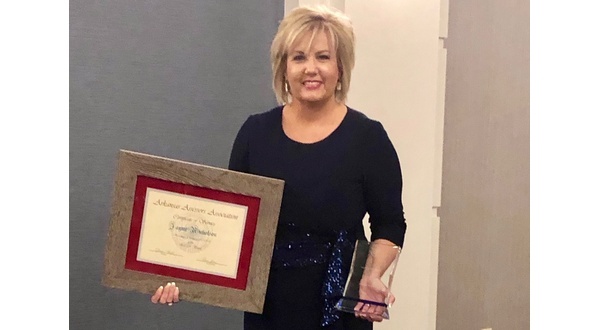 Nicholson recently received the Outstanding Arkansas Assessor of 2018 Award. The award was presented at the fall assessor's meeting in Little Rock. The award was presented by the Arkansas Chapter of the International Association of Assessing Officers. The Arkansas chapter members include county assessors and their staff along with appraisal companies. The group has over 300 members. Nicholson is currently the secretary/treasurer for the organization and will take over as vice president in 2019. The Arkansas Assessors Association provides support to county assessors in the state and works with lawmakers on new legislation.